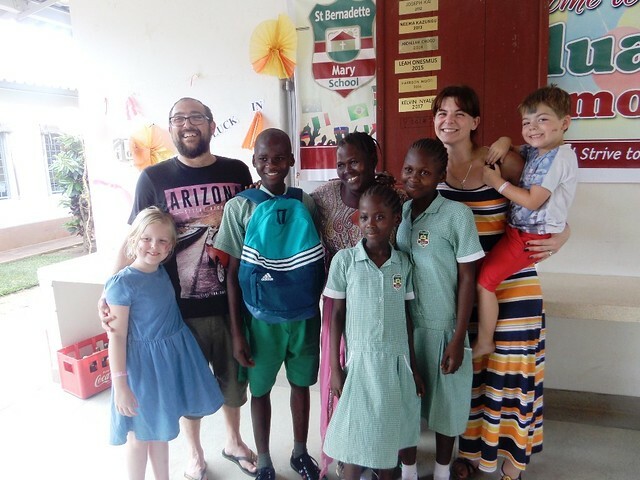 The St Bernadette Mary School Spirit Award is a very competitive and much sought-after award which every pupil attending the school cherish to earn. Thanks to the generosity of Eileen Fray who sponsors this award and having spent her working life in education she believes being a good pupil is not just about the grade you achieve in your examinations. A good all-rounder who is a mentor for other pupils and embraces the ethos of the Spirit of SBM School Award is chosen by the teachers after much deliberation. The 2017 Spirit award winner was Kelvin Nyale who comes from a humble family background in the Mtepeni area. Kelvin is a second born child in a family of 5 children. 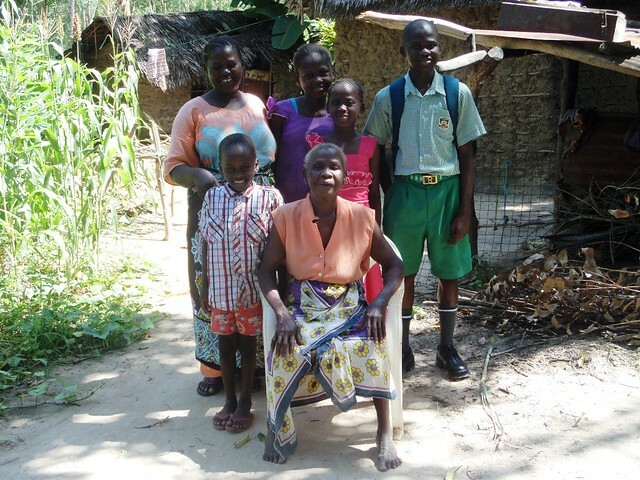 His elder brother who is lucky enough to be sponsored in his secondary school education attends Machakos Boys High School, two sisters (Elizabeth & Margaret) in Class 3 and Isaac in KG 3 at SBM. 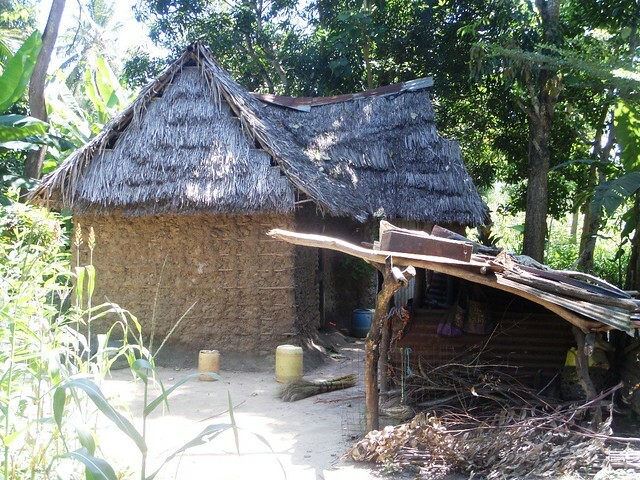 Kelvin’s father works as a watch guard in one of the institutions in Kilifi area while his mother is a casual working on small enterprise earning about 150kes daily which equates to £1/$1.5 ao life is not easy for the family. In spite of this Kelvin is a great influence to his siblings and intends to take part in schooling them at a later point when he is able to earn a salary. SBM endeavours to provide a conducive environment for learns to focus on their studies and a holistic education majoring in all areas of education. SBM has impacted good values to the community and Kelvin Nyale is a witness to this. He has several roles in the school: as a school prefect, a football player, a disciplined student, a top achiever in academics and a team player. He hopes now to improve his mean score so he can join a good High School and later purse Engineering course in the University. 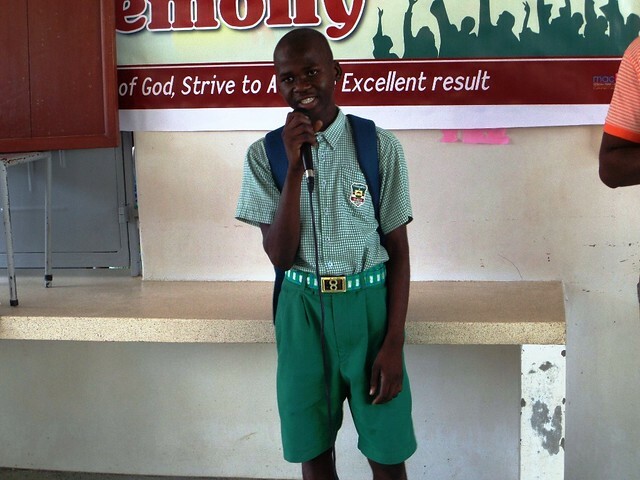 Kelvin Nyale was rewarded with a pair of school shoes, socks, polish & polish brush and a cash prize of KES. 10,000 for being the 2017 Spirit Award Winner. Kelvin showed maturity, confidence and charisma during Award Ceremony. He is indeed thankful of having the pleasure to school at SBM and thankful to all teachers for their inspiration & motivation. Also a special word of thanks to Eileen Fray, introducing the Spirit Award in SBM School has made the children very aware that it’s not just the grades you achieve in examinations that is the No1 priority, it is showing kindness and respect to your fellow pupils, your parents and the staff at SBM School. Kelvin epitomises all these qualities and we wish him every success in his life ahead as he progresses through his academic years. A massive congratulations to Kelvin. May this award be the first of many of your bright promising futures!